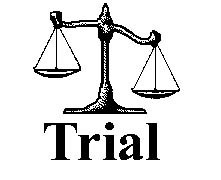 Trial: This event is not part of the Century Group and does not earn a Centurion shirt for the winner. Demo: This event will be taught in a one-hour demonstration in Frankie & Vinnie's at the designated time. The GM will not stay more than 30 minutes without anyone to teach so be on time. TV: Links to the web page of the manufacturer which further illustrates and/or explains the game. Press your browser's "Back" key to return to the previous page. Or, return to the BPA Home page.